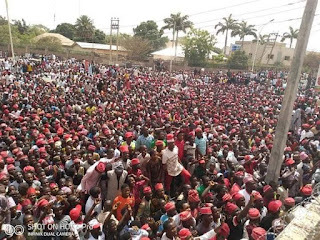 Sen. Kwankwaso & EngrAbbaKYusuf couodnt make it to Gama for security reason, Gama decided to come to Kwankwaso's Residence. TheNgTimes gathered that Kwankwaso & EngrAbbaKYusuf had shelved their planned visit to Gama Ward, following intelligence report that Ganduje has deployed thugs to attack them, in order to portray it as CP Wakili's failure to secure Kano. 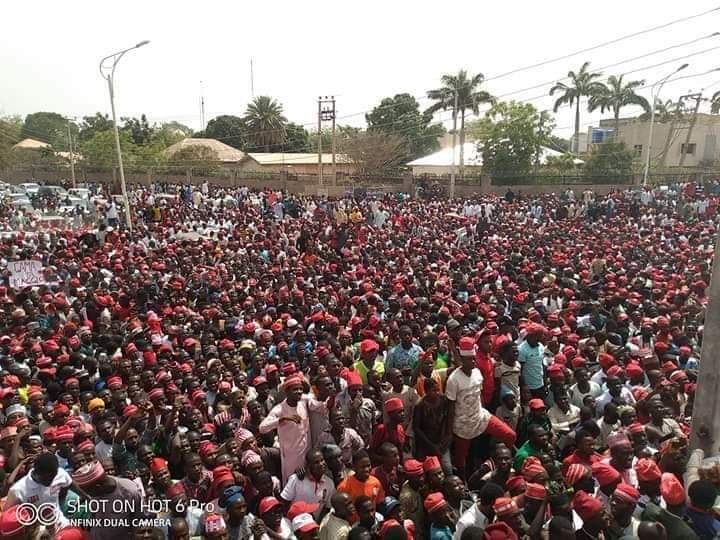 However, the people of Gama have been trooping to Kwankwaso's residence. 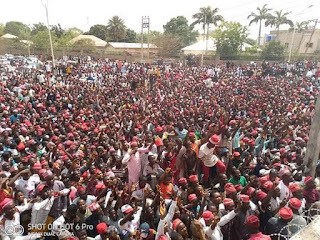 Earlier today, The Police Command in Kano State said that no fewer than 1,800 political thugs were currently in prison across the state, awaiting trial. The state Police Commissioner, Mr Wakili Muhammad, disclosed this in Kano at a one-day meeting with stakeholders for the promotion of peaceful conduct of the governorship re-run in the state.